Every consumer who is considering purchasing an electric car must consider at least two major issues. Where will they charge their vehicle while on the road and how will they charge their vehicle at home. This post is going to focus on electric car home charging stations for electric only vehicles. Hybrid vehicles use the cars gasoline engine, brakes etc to recharge the batteries are are not considered part of the subject of this post. What do you Need for electric car home charging stations? There are some practical aspects to consider when installing electric car home charging stations. For example you will need an electrician to install the plug in or near your garage, wherever you park your car. It should be at least 30 amps capacity and have a chord that will reach to wherever your car is parked. Go large. In other words it may cost less to install a 15 amp charger, but a 30 amp charger will charge your batteries more quickly. This is a consideration for this vehicle and your planned use as well as future vehicles. It can be frustrating to wait around for your cars batteries to charge. 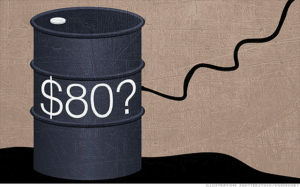 The cost will vary by location, but somewhere between $500 to $1000 seems to be the norm. Regardless follow the specifications provided by the dealer. Build as much flexibility and capacity into the installation as you can depending on the additional cost. Some charging cables can also be portable. If so take advantage of this feature if you plan to move in the near future. 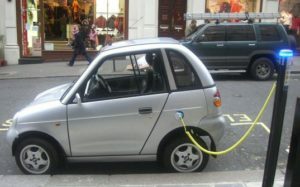 For more posts about electric vehicles, click here. Test driving a Tesla Model S convinced this writer that Tesla is really on to something. The Model 3 which it announced recently (April 2016) will be a roaring success. Tesla model 3 all electric car pre orders have surpassed all expectations. They will address them and deliver a industry leading vehicle. The consumer will respond if you deliver quality, deliver safety and luxury in an all areas. The Model 3 is an interesting car. As of the date of writing this post, Tesla has over 300,000 pre-orders for the Tesla Model 3. That is huge for any car vendor and really just the beginning. Sure there will be some shrinkage, but there will be a lot more orders coming in. The Model 3 is an unknown car at this point. It will do 0 to 60 in under 6 seconds. It will have many of the same features that the Model S has. However, all features and details are not finalized. Tesla is not making the details available just yet. Prospective buyers are placing their orders based on the reputation of Tesla and the Model S reputation. After test driving the Model 3, their faith in the car and the manufacturer is well placed. More to come on Tesla’s Model 3! Take the Tesla Model S all electric car test drive and prepare to be amazed. This is the first time the writer has had an opportunity to drive this particular car. It was truly fantastic in many ways. But first a little background. As an average consumer I cannot really afford this particular car. I told the sales person when they asked me if I was interested in the car. The new Model 3 is more in my league with a base price of $35,000 vs. the Model S at $70,000 US. I took a fully upgraded Model S out for a drive. It was listed at $132,000 US with the full sport package, low profile racing tires and rims etc. They did not seem to mind and offered the test drive to me in any case. The test drive lasted approximately 30 minutes. It consisted of both city driving, highway driving and cornering on curving mountain roads. A pretty good test for such a short time frame. There are many features on this car, however I will just cover a few that really stood out for this test driver. The sales person was excellent, gave clear instructions and probably has nerves of steel. Considering what the car is capable of he really was calm through out the entire drive. Self Parking – The Tesla Model S self parks perfectly in both parallel and mall parking situations. All you need to do is drive the car into a proper position aligned with the car ahead of the parking spot, place the car in reverse and touch the auto park icon on the screen. It does the rest and comes to a full stop properly positioned between the car in front and the car behind as well as 6 inches from the curb! Same applies to backing into a mall parking spot. It also parks itself in your garage, but obviously we could not test this feature. Auto Driving – is where the real action starts. We took the car up to the designated highway speed, turned on the auto pilot and took our hands off the wheel. It maintained the proper position on the road with no difficulty what so ever. It uses the white lines on the road to maintain position in the lane. Occasionally they would disappear and the car would shift a bit in the lane and then correct itself. There are all sorts of settings, however for this test drive the auto pilot was set to follow a car in front to two car lengths spacing. A car pulled in front of us and then turned down a side street. In both cases, our car slowed and even came to a full stop while we waited for the car in front to turn right. It started automatically and came back to full speed once the way was clear. Changing lanes is really neat. After checking that there are no cars blocking your lane that you are moving too, simply turn the turn signal control in the direction you want to move to and the car moves over. Of course if there already was a car too close, it would cancel the lane change. 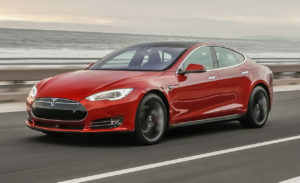 Speed Control – almost all cars have speed control, which of course the Model S does. It works closely with the auto pilot maintaining your speed with 1 mile/hour and 5 mile / hour increments simply by a touch of a lever. Ludicrous Mode – This is truly special and really demonstrates the power of this car. You can operate this model in regular, sport and ludicrous mode. We brought the car to a full stop, placed both hands on the wheel, head back against the head rest, set the car to ludicrous mode and fully depressed the accelerator. Experiencing 0 to 60 miles and hour in less than 6 seconds is truly amazing. Butterflies in the stomach, racing heart rate and more. This car moves! Many Other Features – There were many other features and capabilities available on this car all controlled on the large full screen tablet centered between the passenger and drivers seats. You really have to try this car. Don’t take my word for it, take your own Tesla Model S All Electric Car Test Drive! Should you buy an electric or hybrid vehicles? Is it the right time, can you save enough money to off set the higher prices of these vehicles? Are the charging stations convenient enough? Is the technology mature enough as compared to the traditional gasoline or diesel powered vehicles? We think that most consumers are still concluding that the answer is no and it is still not time to make the transition from gasoline or diesel powered cars to an electric or hybrid vehicle. We will examine a few of the reasons why in the following paragraphs. Note that the industry is make tremendous strides in terms of the technology and the all important charging station issue. 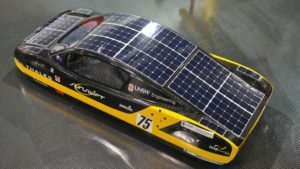 We think that the issues can be narrowed down to the following five issues without considering items such as look and feel of the car for electric or hybrid vehicle purchase plans. These can be factors for some consumers over one model vs. another, but the transition to the electric vehicle is controlled by the following. 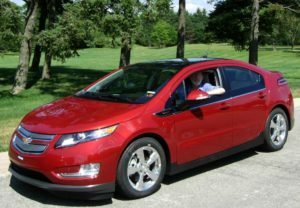 Price – are still higher for a comparable electric or hybrid vehicle vs the same model gasoline powered car. Charge – power stations are not frequent enough yet. Consumers driving large RV’s must plan their route around places to stop for the night, electric cars are still in this same planning horizon. Power – all electric vehicles have excellent ratings for 0 – 60, not so much for the hybrids. If this is important to you then you may want to wait a bit. Convenience – for recharging to less space inside your car for luggage etc might be an issue for many consumers. The writer found that most hybrids and all electrics cannot carry the luggage for the family without major reductions. Upgrades – all cars but especially the new all electrics are more and more controlled by computers which will need upgrades from time to time to reflect improvements and glitches that need repairs. 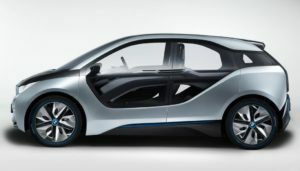 A mature vehicle development for the electric car industry still has a way to go. Other issues that many consumers will also consider include roominess, look and feel of the car, colors, and maintenance costs. Also top speed, resale values (which have not yet been determined for many new vehicles) and a host of other items. In March 2013, we wrote a post about the new Yike bike, invented by an engineer in New Zealand. You can read the full post by clicking on the following link, click here. We came across another interesting article about this new and unique bike. We wanted to post some of the comments that we read and listen to about this bike. The cost was about $2400 Canadian. The rider in the city of Ottawa Ontario Canada was turning lots of heads as people saw this bike for the first time. It is so much different than any other vehicle on the road. Many people were wondering what was, operated and what it was like to ride. The big question that was posted in this particular article was what kind of vehicle is this new bicycle classed as and would it be allowed to be driven on bicycle paths. The original writer of this latest article asked the question, but a bylaw officer whether this bike would be allowed on bicycle paths in the city of Ottawa. The answer was quite surprising since this is obviously a two wheeled bicycle with power. He reviewed all of the bylaws that the city of Ottawa has and came to the conclusion that this place a call is closer to a motorcycle than it is to an actual bicycle. It is electrically driven, has brakes, lights, signal lights, and can fold up into the size of a small suitcase. This vehicle was actually closer to a motorcycle that was to bicycle. Motorcycles are not allowed to be driven on bike paths and therefore this new Yike bicycle would not be allowed on bicycle paths at the present time in the city of Ottawa Ontario Canada. The city planners are going to have to enact new bylaws for this bike. But it will take another year or two of review and assessment before they will get around to doing that. In the meantime this writer will continue to use his bike on the city’s roads. Wearing all of the proper safety gear such as a bicycle helmet, and proper clothing. The neat thing about this bike called the Yike bike is that it folds up into a small suitcase. Which can be carried in the trunk of your car carried into the office or even onto the train for commuting in another city. Like all vehicles that do not have protection for the writer, riding in inclement weather may not be that safe. We will keep watching for more posts about this particular invention they came from New Zealand.